The Reykjavík Academy of Web Development offers a specialized programme dedicated to web development, interface design and programming of websites and other web based applications and solutions. 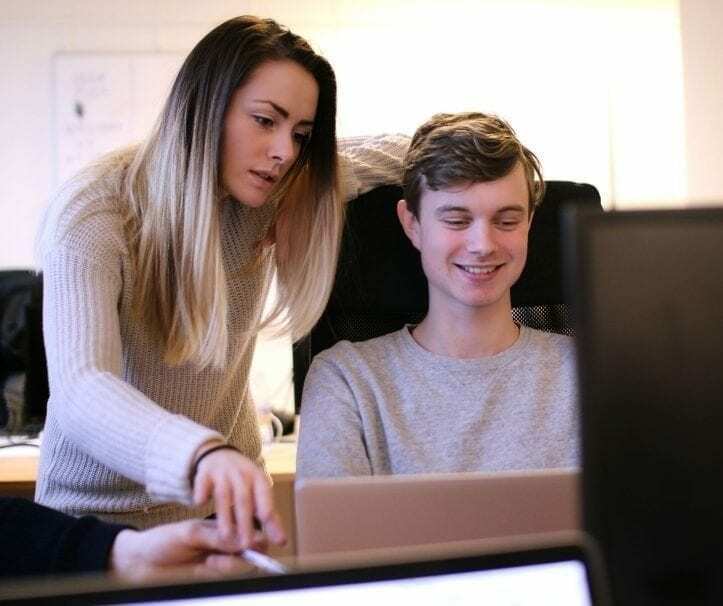 The Reykjavik Aca­demy of Web Develop­ment is the only study programme in Ice­land to comb­ine teaching in web development, interface design and web programming. What distinguishes the programme are the small class sizes, giving students better access to their teachers, and a learning environment that promotes cohesion and colla­boration between students. The programme also places a strong emp­hasis on relations with the web development industry. This is a two-year programme in the School of Web Develop­ment, focusing on interface programming. Stu­dents learn how to design and how to program websites. The study programme focuses on interface development, user experience and programming web app­lications. The education is level 4 and is project-based. Implement a web-programming interface and user-friendly websites. Be able to work independently on demanding and diverse network solutions. Work professionally in a web development team. RAWE offers university level education. Students graduating from our programmes have excellent employment options within the computer and digital sectors.